AACares provide on-call home help services so you can remain in your familiar and comfortable environment longer. 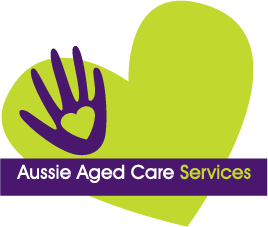 Established in 2011, Aussie Aged Care Services (AACARES) has years of experience providing on-call home aged care services in the Gold Coast region. We provide a range of home help services for the elderly to help keep our clients at home for longer - “your independence is our priority”. It is a well-known fact that as we age, day-to-day tasks become more challenging and some even become potential hazards – that is where Aussie Aged Care Services come in. We want to help maintain your independence at home by taking care of the more difficult tasks to reduce the risk of a potential slip, fall or strain. Utilising our home help will allow you to safely and happily enjoy quality of life in your own home. AACARES are flexible to make sure we are there when you need us, we know the unexpected can happen and we pride ourselves on being there to help. Reasonably priced large range of aged care services, we want to make staying at home an affordable and achievable outcome for the clients we work with. We provide a comprehensive range of aged care services throughout the Gold Coast region. Contact AACARES today to find out how we can be helping you!